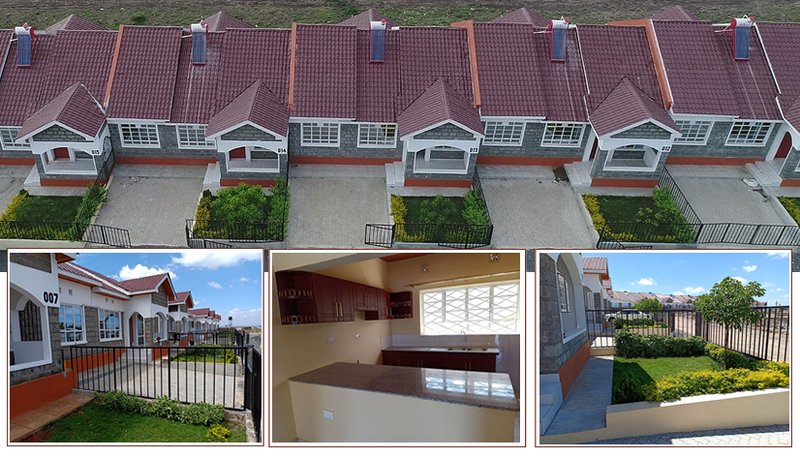 Kenya USA Diaspora Sacco has reached a strategic partnership with the developers of Fadhili Homes to offer Sacco members and Kenyans in the entire Diaspora, a very unique and rare affordable housing development and at very discounted off-plan prices, while the sales last. Set in a serene environment and capturing the stunning views of Mt. Kilimambogo off Kangundo Road, Fadhili Homes presents a rare opportunity to own a property in one of the fast growing areas along the satellite neighborhoods of Nairobi. It is carefully crafted to blend community living while providing for private lifestyles. The Kenya USA Diaspora Sacco, takes pride in its service delivery to our members! 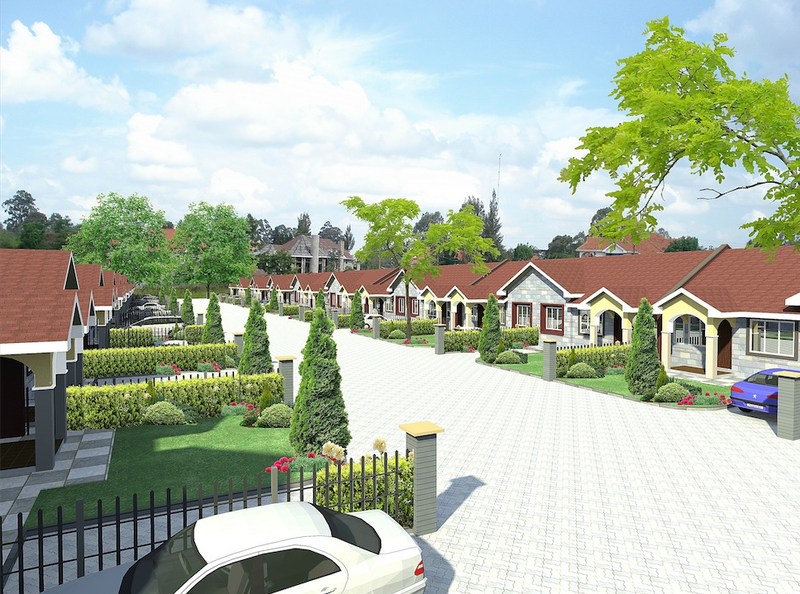 Our signature project, Fadhili homes as seen here in the pictures below is at an advanced stage, and a good number of our initial buyers will be made home owners by the time of our AGM! 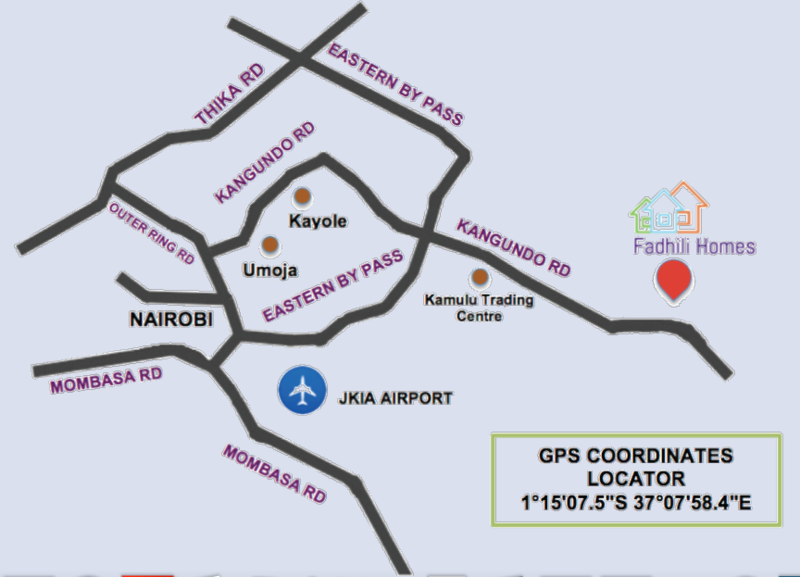 Let’s take a journey to Fadhili Homes…. 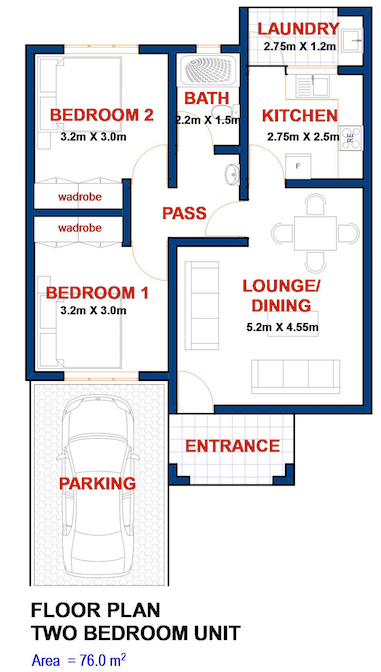 All Phases comprise of two and three bedroom units. 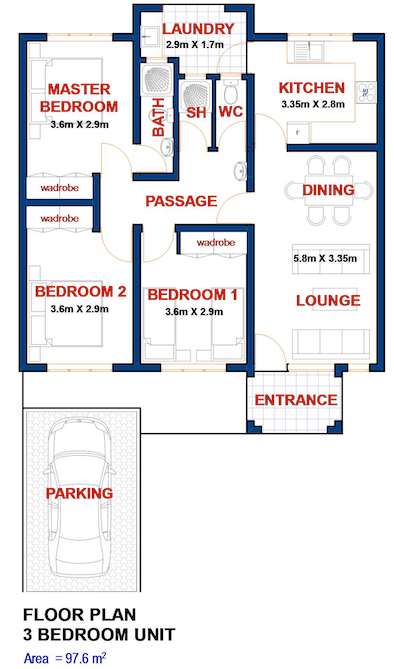 You may download Fadhili Home Brochure for more details on the design, floor plans and size of the units. It offers a variety of two and three bedrooms units, a total of 207 units set in a gated community. Is located in Malaa KBC area, just off Kangundo Road. It’s 15 minutes drive from the Eastern Bypass junction, 35 minutes from Thika Superhighway, 45 minutes from Nairobi Central Business District and 30 minutes from Jomo Kenyatta International Airport. Other amenities include a car-park, bore hole, water storage, water treatment facility, electricity, kindergarten, mini supermarket and a playground. Accessibility to public transport with close proximity to good private & public schools, gas stations, entertainment and eateries, banking services, shopping areas, fresh produce markets and health facilities. Ideal for family living, retirement, vacation or rental income. Affordable housing, classified as houses that cost between (KES 2 Million- 4 Million) are not easily available and the demand for the same is very high, as the market looks to serve the underserved middle-to-lower-middle class consumer. This is your chance to lock in an affordable unit at Fadhili Homes before the prices rise above the affordable housing level. Purchase of Fadhili Homes is open to all Kenyans in the Diaspora; in UK, UAE, Canada, Australia, Dubai, East/South Africa, Middle East etc. Fadhili Homes is open for sale to Sacco members and non-members, as well as Diaspora groups at the off-plan prices above while the offer lasts. Download the Brochure to view floor plans and unit size, download the Booking Form with Additional Information and payment options and plans , the Site Plan and the list of available units . Pay a non-refundable booking fee of $100 (or equivalent in KES) to reserve your unit. The Sacco office and legal team will reach out to you with the next steps, the offer letter and bank account details to enable you make your 10% deposit. You will then continue making your payment depending on the payment option you selected, as you await for your house to be built and finally the keys to be handed to you. The Sacco will be giving all buyers timely and regular updates on the progress of the project. ** You may also call the Sacco office in USA +1 678 398 7728 (or Kenya office +254 792 746 217) for further information or assistance in selecting and paying for your unit. Phase II: Commencement Oct 2019. To ensure the project is completed on time. To ensure the project adheres to the expected quality and standards.